One of my biggest complaints throughout the entire hosting industry is the lack of updates. Some web hosts seem to operate the same way they did a decade or two ago. 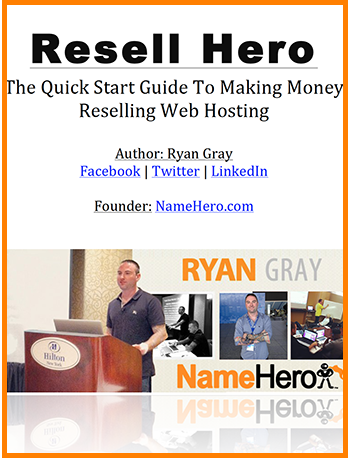 I saw this first hand several years ago (before NameHero) when I signed my dad up for a shared hosting account at a well-known host. They were running a dated version of mySQL and PHP without the option to upgrade unless I moved over to a VPS. The main reason why some web hosts shy against upgrades is the potential to break software which trend support volume up. Therefore some companies will choose to put these off as long as they can and then only roll out the upgrades as they’re absolutely necessary. I personally disagree with this strategy. The Internet is constantly changing and evolving. What works today won’t work the same way tomorrow. If you neglect one upgrade, you’ll neglect the next, and before long a decade has passed and you’re leaving a path of security breaches not to mention sacrificing performance. This is why I’m almost militant about keeping WordPress core files, themes, and plugins updated to the latest version. If you miss just one, you leave your entire website open for problems. Recently we just completed TLS upgrades across all servers disabling 1.0 and 1.0 leaving only 1.2 active. Because of several weaknesses found in TLS 1.0 (and 1.1), many websites and Internet services are now requiting the use of TLS 1.2. The latest PCI compliance standards require that any site accepting credit card payments use TLS 1.2 after June 30th, 2018. While some are still showing a “grace period” it’s likely they’ll stop over the next several months. While we only offer full PCI compliance on our VPS host packages (which requires a $25/mo PCI-DSS scan) this was still a very important upgrade. We have also finished upgrading all servers to MariaDB 10.2.X. While MariaDB 10.1.X is still be updated, we felt it was time to move forward. Users will find even better performance with this upgrade. We will now begin planning the initial stages as to when we will be moving up to MariaDB 10.3.X. 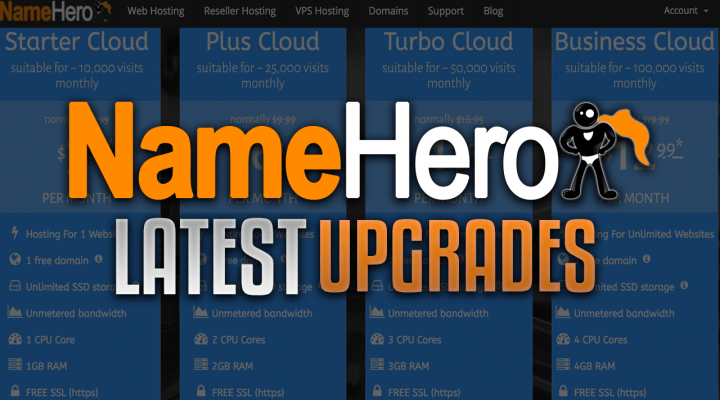 We’ve recently made some pretty large updates to the entire NameHero.com website. This includes both the front-end part of the website and our back-end client portal. Users will find larger text and an even more mobile friendly browsing experience. I know from my own personal experience, I like to register domains in my “downtime” as investments, so we’ve tried to really focus on making this an easy experience. We have even more website upgrades coming this fall, so be on the lookout! Finally, we’ve spent a good bit of time upgrading our knowledgebase. 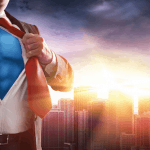 It’s our goal at NameHero to not only provide exceptional customer service and support 24x7x365 but also have a knowledgebase full of articles, guides, and videos where our customers (and potential customers) can learn. We’ve also taken it a step-up by providing 100% free training to our Resellers as it’s our goal to help maximize their business. I’ve said many time, when our customers succeed, we succeed. It’s really that simple! If there is something you’d like to see us doing, that we’re not, please feel free to reach out to us! We believe we can always be improving, so your voice will be heard! Thank you all for your support and loyalty to NameHero, we certainly appreciate it!